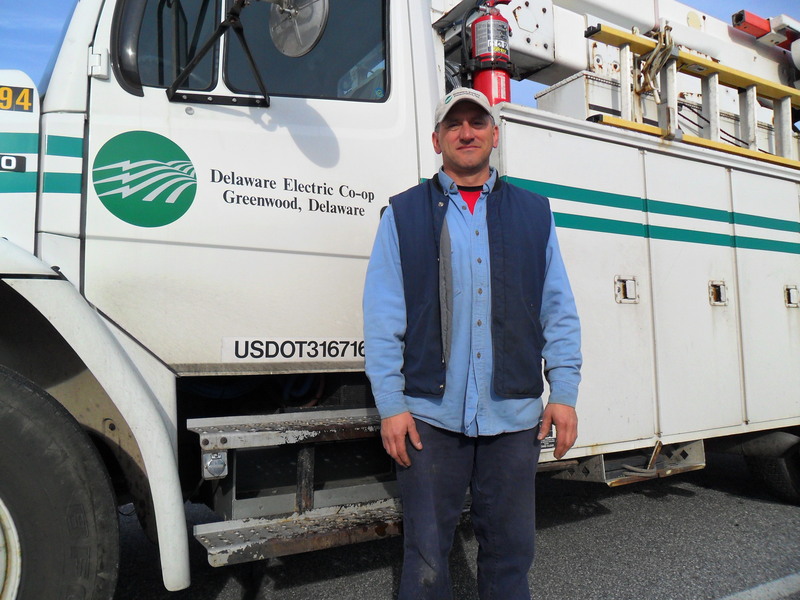 Greenwood, Del.- Delaware Electric Cooperative Lineman Duane Pierce wasn’t wearing a cap and gown and didn’t walk across a stage to receive a diploma on February 14th, but Valentine’s Day marked the culmination of five years of extensive training as an apprentice lineman. By the end of the day Pierce would be a full fledged first class lineman, a title only given to those who pass five written tests, stand up to the rigors of an intense question and answer session and overcome the numerous obstacles one faces while training to work as a lineman. The day started with a trip to the Taylor substation and Pierce was admittedly nervous. Duane was asked to show his electrical expertise at the substation, which was followed by a nerve wracking two hour oral exam in the afternoon. Pierce aced the oral exam, bringing to an end his five year journey, which wasn’t always easy. And Pierce isn’t alone. 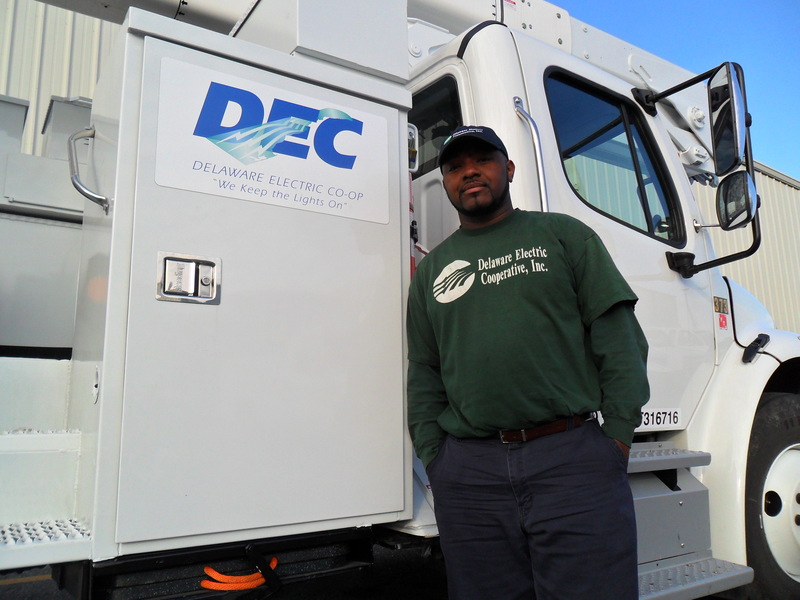 Two other Co-op employees recently finished their training to become first class linemen. Five other DEC employees are also currently training to earn that title. Travis Walls joined DEC back in 2004 as a locator and was quickly promoted to a position as a meter reader. In 2006 Walls started his apprenticeship and in June of 2011 his hard work finally paid off as he became a first class lineman. Jim Maier also earned the title of first class lineman in November of 2011. 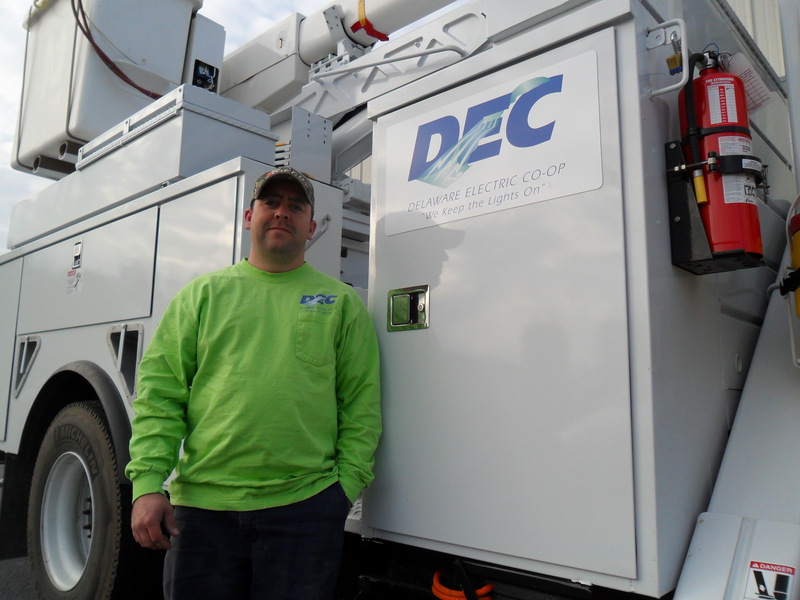 Maier started his career with Delaware Electric Cooperative back in September of 2004, after spending 15 years with U.S. Airways serving as a flight attendant. Changing careers proved to be difficult for Maier.